This series asks all sorts of bloggers who their dream dinner guests are, and why. As you’ll find out there is quite an eclectic mix! This weeks dinner guest wish list is from Ellen. 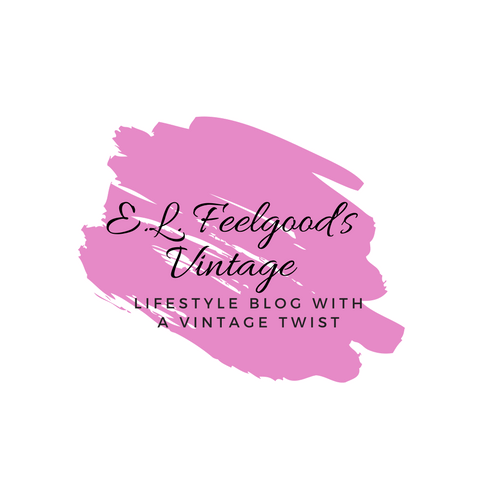 You can find Ellen’s blog over at E L Feelgood’s Vintage. Amelia Earhart – I read about Amelia many years ago. Amelia was the first female aviator to fly solo across the Atlantic Ocean. Unfortunately, she disappeared on her flight. To this day she is an inspiration to me, showing that women can reach for and achieve their dreams. There is still so much mystery surrounding her disappearance, I would love to have her at my table to ask her how she achieved so much and what on earth happened to her plane! Jacqueline Kennedy Onassis – Jackie O oozes style and glamour. She went through so much with the death of her President husband and subsequent deaths of other members of the Kennedy family. I would ask her about her style, how she coped with the tragedy in her life and what really happened on the grassy knoll! 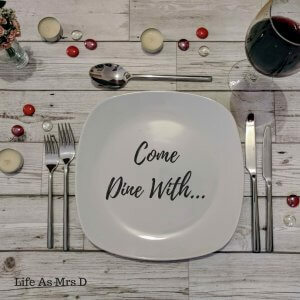 Queen Victoria – To be Queen during the nineteenth century and to oversee the dramatic rise of Great Britain and her Empire, it would be wonderful to have Queen Victoria to dinner. I would love to know how she keep her cool during this period and I’d love to ask her what she thinks of her Great Britain now. To be honest I don’t think she would be too amused! Mother Teresa – I would love to invite mother Teresa to dinner to ask her how she continued to act so selflessly for so long. I would love to know how it felt to win the Nobel Peace Prize and why she was so against a woman’s right to choose. I think this would be the most animated conversation since I would disagree with some of her views but nonetheless interesting. Marilyn Monroe – Having Marilyn to dinner would be truly wonderful for me. I admire her determination and grit, growing up and making it in the film industry. I would love to know why she seemed so unhappy at times and how tough it was in the industry for a woman then. Sarah Millican – What is there to say about Sarah apart from how hilarious she is? I would love to have her to dinner to keep the mood light but also to share her thoughts and feelings on women being comedians and if they need to work twice as hard as the men to get recognition. Don’t forget to check out Ellen on Twitter, Facebook, and Pinterest too!